Becoming a Chartered Accountant is definitely a dream for every Commerce student in India but only very few of them have the potential for it. This is because it is a difficult course which demands consistent efforts and hard work to become a CA. If you are planning to pursue Chartered Accountant after 10th, 12th or you are wondering how to become a Chartered Accountant after graduation, then this article is for you. Find out everything you need to know about how to become a successful chartered accountant in India. 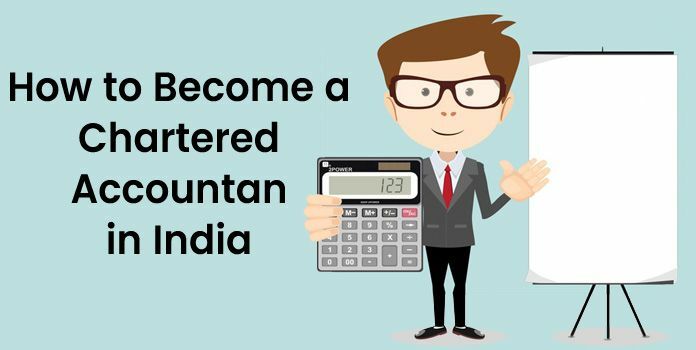 We have come up with a comprehensive guide on becoming a Chartered Accountant in India. Right after your 12th, you have to appear for CA Foundation which is the test to enter into the world of accountancy. This exam is called CPT. You can either sit for it in the month of June or in December and accordingly register for it on ICAI website. There are 4 subjects in the syllabus and the course is very much similar to what you have studied in your 11th and 12th standard in Commerce stream. Principle and Practices of Accounting; Mercantile Law and General English; Business Mathematics, Logical Reasoning and Statistics and Business Economics & Business and Commercial Knowledge. These tests will be partially objective ad partially subjective in nature. First two will be subjective and next two will be objective. You are allowed to use 12 digits calculator in the exam which makes calculations easier and faster. This is also called IPCC. Once you have cleared the foundation, you are eligible for appearing for intermediate. This is a difficult level and demands working harder and studying longer. Once the result for the foundation is declared, there is a gap of 9 months for intermediate exams. The syllabus is huge which makes it difficult to crack. There are two groups, each with 7 subjects. Both the groups can be taken together and also separately. You have to balance the coaching with self-studies to clear it. Modules offered by ICAI are extremely important as they help you know the pattern of the paper. Write as many mock tests as possible. Revision is a must and not just once but a couple of times. Make sure that you complete all your course within 5-6 months so that you have 2-3 months to keep revising everything. One you have also cleared CA Intermediate, you are all ready for Articleship Training if you are also done with ITT and OT Program. The duration of Articleship is 3 years in which you have to undergo training under a CA of your choice. You are eligible to write your exam only after completing Articleship for 2.5 years. All those who have sat for the two groups of intermediate must also complete IT training of 100 hours when the result is awaited. Likewise, also complete the OT program in this period. The candidates must start preparing for the other group. Articleship and next group along with office can get very difficult to manage. You are advised to complete the intermediate before going for Articleship Training. If you have cleared all the stages, you are finally on the last step which is surely not an easy one. You can sit for CA final once you have also done with GMCS and Advanced ITT. Managing office with studies is really difficult and that is the reason for low passing out rate. It is a good idea to complete the coaching first and then go for the training so that you can simultaneously revise your course as well. These are different stages one has to cross before finally becoming a Chartered Accountant in India. What is the CA qualification? Chartered Accountant qualification is about clearing all the stages of CA examination mentioned above. If you manage to pass through every stage with flying colours then you are a CA.